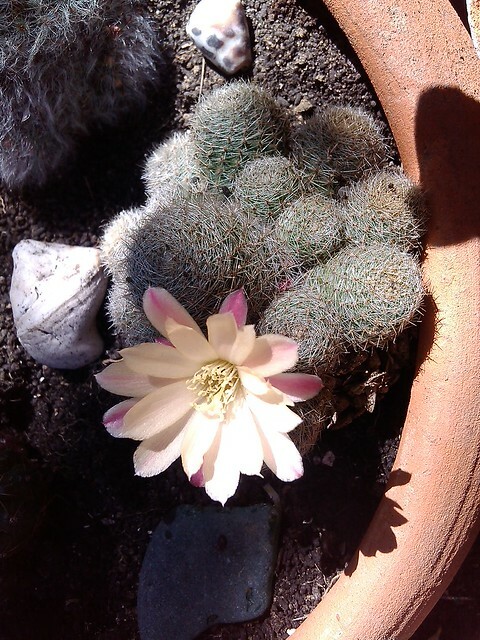 Something New : Cactus flower!! Bought this little spiky from Baguio early this month. And this morning, pretty flower it haz!